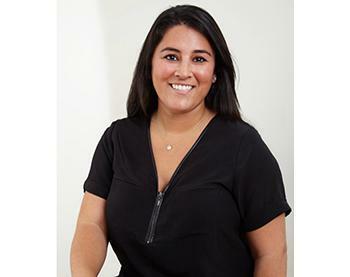 Dr. Addonizio PT, DPT, is the director of ProKinetics Physical Therapy in the Brooklyn, New York area. She graduated from Long Island University with her Doctor of Physical Therapy degree after earning her Bachelor of Science degree in Exercise Physiology from Adelphi University. Dr. Addonizio has practiced in the outpatient setting treating orthopedic and sports injuries, pre and post-operative musculoskeletal disorders, neurologic conditions, and work-related injuries. Her commitment to individualized treatment and hands-on care has been the driving force of her practice. She has developed a vast skill set in manual therapy, joint manipulations, and postural muscle re-education in order to restore pain-free function. Dr. Addonizio also has clinical experience in working with the pediatric population from infancy to 18 years of age with neurological disorders and/or developmental delay. She has gained this experience through working for the NYC Department of Education and Early Intervention. Dr. Addonizio has extensive training in treating dance injuries in the pre-professional and professional dance population as well as acrobatics from the Harkness Center for Dance Injuries at NYU Hospital for Joint Diseases. As a dancer, herself she graduated from Fiorello H. La Guardia High School of Music & Art and Performing Arts in New York City. She has performed regionally & won competitions nationally and is also a former dance instructor in Brooklyn and Long Island. Dr. Addonizio is continuously expanding her scope of practice. She is trained in the treatment of pelvic floor dysfunction using Biofeedback. With this modality, she treats urinary incontinence, symptoms related to pelvic organ prolapse other pelvic disorders. She continues to develop her education in treating women's health disorders. Dr.Addonizio also a certified trainer of the Tupler Technique to treat Diastasis Recti. 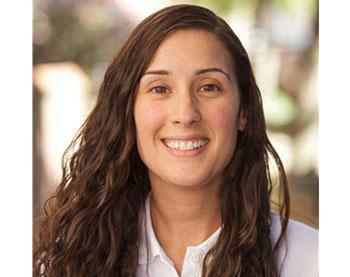 Dr. Lichaa graduated from Long Island University in 2009 earning a Doctorate in Physical Therapy degree after earning her Bachelor of Science degree in Exercise Physiology in 2006. Following graduation, Dr. Lichaa began to develop her skills as a Doctor of Physical Therapy in the outpatient setting with a focus in orthopedic and neurologic cases. She enhanced her clinical skills in manual therapy, joint manipulations, and postural muscle re-education in order to restore pain-free function while working with a variety of musculoskeletal conditions including pre and post-surgical, cervical and lower back pain, on the job injuries and sports related injuries. While gaining clinical experience Dr. Lichaa also utilized her skills to improve the quality of life and physical function of individuals with neurological conditions. Since then, Dr. Lichaa has continued to expand her experience by working with the pediatric population within the NYC Department of Education (DOE). With the DOE, Dr. Lichaa's focus has been to maximize the physical function of students with physical disabilities to help them improve their academic performance. Dr. Lichaa has worked closely with students varying in diagnosis from Cerebral Palsy, Muscular Dystrophy, and other various developmental delays. Dr. Lichaa has a broad and diverse scope of practice which she is continuously expanding on through continuing education courses. She has been trained in Maitland-Australian Physiotherapy for Stabilization Training and Rehabilitation. Dr. Lichaa also treats Women’s Health conditions including pelvic floor dysfunction and Diastasis Recti as a Tupler Technique associate. Dr. Lichaa enjoys working with athletes young and old to allow them to return to their sport. Dr. Lichaa was very athletic while growing up and was on her high school softball team. Her athletic background has allowed her to gain insight into the struggles and disappointments that many athletes go through when they are injured or are experiencing a chronic condition. Dr. Lichaa continues to enjoy a healthy and active lifestyle. 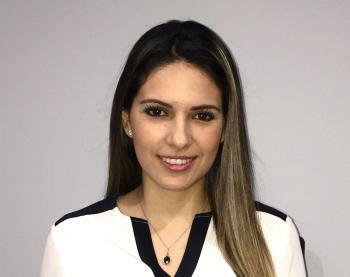 Dr. Ismaili, PT, DPT earned her Bachelor of Science in Biopsychology and Doctorate of Physical Therapy from The Graduate Center, CUNY/College of Staten Island. She received the New York Physical Therapy Association's Brooklyn/Staten Island District Meritorious Student Achievement Award, and she has been an active member of the American Physical Therapy Association since 2011. She has interests in the rehabilitation of sports-related injuries and manual therapy techniques to better serve her patients. 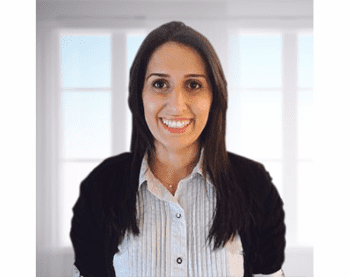 Dr. Ismaili has a passion for hiking and sports, and she particularly enjoys playing basketball. She played for her college as a shooting guard and currently participates in women's leagues. 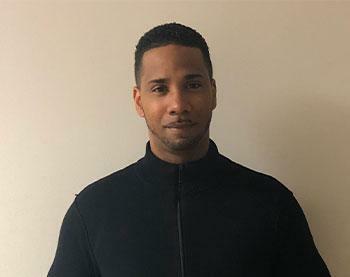 Dr. Comet graduated from Long Island University’s doctoral program for Physical Therapy and has since been working with orthopedics and sport injuries. Dr. Comet continued to pursue excellence in orthopedics and completed the orthopedic residency program at Temple University while working alongside experts in the field. She is an orthopedic clinical specialist (OCS) from the American Physical Therapy Association’s Specialization Academy. And has since become a board certified specialist for Sports (SCS) in 2016. When Dr. Comet is not treating she is teaching as an adjunct professor at Long Island University for both the Physical Therapy and Occupational Therapy departments. Her passion for Physical therapy goes beyond the clinic and academia and has resulted in her interest in research. Dr. Comet has co-authored two articles and presented at the American Academy of Orthopedic Manual Physical Therapists conference in 2015. Dr. Comet has always enjoyed playing sports, dancing, and remaining active and has used her experiences as an athlete with several injuries to help guide her as a Physical Therapist. Alejandra Shevchenko is a registered and licensed Occupational Therapist who received her Masters of Occupational Therapy in 2014. She has extensive experience working with adults in a variety of settings including private hand clinics and short-term rehabilitation centers. She specializes in the treatment of orthopedic injuries of the upper extremity and is trained in the fabrication of upper extremity orthoses/splints. Alejandra continues to advance her career through a variety of continuing education courses. She has now expanded her scope of practice to include pediatrics and works for the NYC Department of Education. Alejandra is fluent in Spanish and thrilled to be a part of the ProKinetics team and pursue her passion for hand therapy.